Enphase Energy has announced a solar program to aid the commercial solar projects in Europe recently. Micro-inverters are generally used in residential solar installations and Enphase Energy is now expanding its usage to commercial installations as well. The program is open for PV installers and developers in France, Netherlands, Belgium, Luxemburg, Switzerland and UK. The priority of the program is to register first with Enphase for the commercial projects, using the Enphase microinverters. They will then receive personalized training, support and other resources from Enphase Energy. 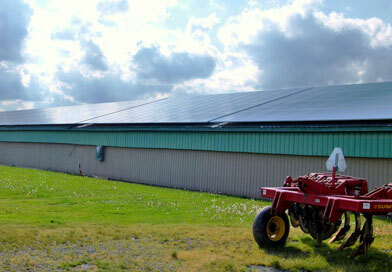 Commercial solar installations are gaining enough momentum in today’s world. With solar energy reaching grid parity in most places, it is gaining more and more acceptance everywhere. Micro-inverters usually cost much more per watt as compared to traditional 3 phase solar inverters. However, they yield more energy and are more reliable than the normal inverters. The Enphase Microinverter System has revolutionized the solar industry’s approach to commercial installations. By distributing power conversion technology into the arrays, photovoltaic systems powered by Enphase deliver higher energy harvest, enable flexible designs, and contain no single point of system failure. Reliability and Longer Life – Micoinverters are more Reliable as the failure of a single piece affects only that solar panel and not the whole solar array of solar panels in case of Solar Inverters. Also the mean life of micro-inverters is much more than compared to the life of String Inverters which have to be replaced in 5-10 years. Productivity – Microinverters claim to have 5-25% more power production from solar panels as they manage to maximixe the power production from each solar panel (MPTT) compared to string inverters. Microinverters give more accuracy. Ease of Installation – Installing Solar Panels with Microinverters is easier and faster and leads to lower costs compared to Solar Inverters though there is still some dispute on this. Flexibility – Another benefit of the distributed microinverter design is the potential for installations to be expanded over time. An initial set of solar modules can be installed and additional modules added as needs and budgets grow without requiring the replacement of a large centralized inverter. Reduction in Lifecycle Costs – Installers are no longer limited by string design, marginal designs, co-planarity, and matched modules. Microinverters reduce wiring time, and remove the need for DC switching points. Space and Heat of String Inverters – String Inverters occupy more space (though not a big problem) and generate a lot of heat which has to be cooled by used fans. Higher Power Inverters have to be used – Because of the limited range of power rated inverters available, solar panels have to generally use power inverters of greater size for eg. 800 W of Solar Panels will have to use 1 KW solar inverters wasting the 200 W.
Enphase Energy is one of the most innovative solar startup companies that have come up in the USA, especially without a billion dollar DOE Loan guarantee backing it up. Enphase Energy makes solar products that help in the production of solar energy from solar cells, rather than being involved in the production of solar panels themselves. Enphase has created an entire new category of Solar Inverters – Micro-Inverters. Enphase not only does the mundane task of converting the DC Solar Energy into AC Electricity usable by household appliances, but also incorporates communication chips which allows the monitoring of the performance of the solar panels remotely through the Internet. Enphase Energy also sells software and hardware for solar systems. It sells cabling systems as well software for monitoring of the solar systems. Enphase Energy has also entered into the closely related “Energy Efficiency” Industry by selling Smart Thermostats which can remotely monitor and manage the temperature of a house. Also read my recent thesis on Enphase Energy here.